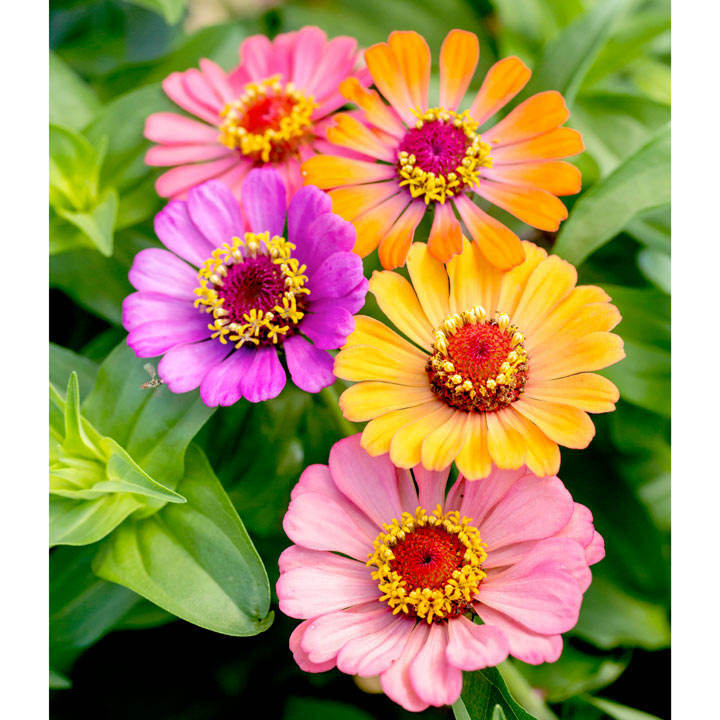 Tall plants for the middle or back of a border, producing attractive medium-sized, single or semi-double blooms in a wide range of colours. Ideal for garden decoration or cut-and-come-again flowers to keep your vases full all summer. "People's Choice" award at RHS Wisley Trials. Height 60cm (24"). Medium-sized blooms in an 'explosive' mix of colours! Ideal for patio pots and containers beds and borders. Drought resistant. Suitable for cutting. Prefers full sun.